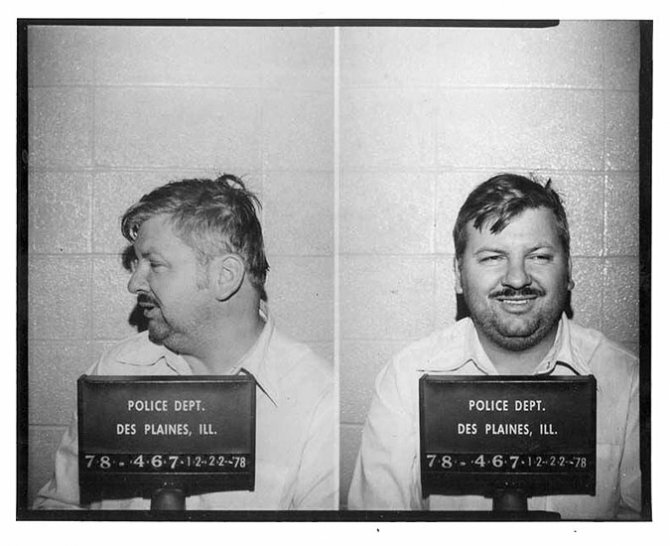 Serial killer John Wayne Gacy posed for the above Des Plaines Police Department mug shot in December 1978. Known as the 'Killer Clown,' Gacy was later convicted of murdering dozens of men and, in May 1994, executed by lethal injection. Submitted by biggmama on Thu, 2010-12-16 14:16. Submitted by franktherabbit on Mon, 2010-11-29 14:02. Submitted by lisasmurf on Sat, 2010-10-09 19:22. Submitted by lmowery on Mon, 2010-10-04 14:59. What a fat, talentless waste of nothing. Submitted by lmowery on Fri, 2010-10-01 12:14. What a senselesss wat to die, how awkward that we have to include this tard in the human race. Submitted by sephiroth_domain on Thu, 2010-09-02 04:01.